I haven’t made lasagna roll-ups in forever – so this recipe really appealed to me when I ran across it. 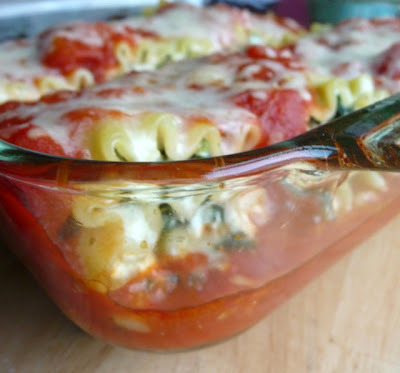 I love a simpler version of lasagna – my favorite is still this skillet lasagna, but for something different – these spinach lasagna roll-ups were simple and delicious. 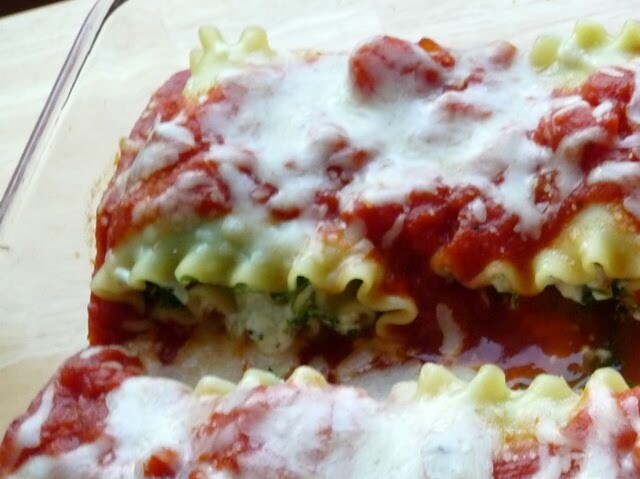 They are also very freezer friendly too, so you make them in advance, freeze them and pop them in the oven for a really quick and easy weeknight meal. Enjoy! 2. Combine spinach, ricotta, Parmesan, garlic, egg, salt and pepper in a medium bowl. 3. Ladle about 1 cup sauce on the bottom of a 9 x 12 baking dish. 4. Place a piece of wax paper on the counter and lay out lasagna noodles. Make sure noodles are dry. Take 1/3 cup of ricotta mixture and spread evenly over noodle. Roll carefully and place seam side down onto the baking dish. Repeat with remaining noodles. 5. Ladle sauce over the noodles in the baking dish and top each one with 1 tbsp mozzarella cheese. Put foil over baking dish and bake for 40 minutes, or until cheese completely melts. 6. 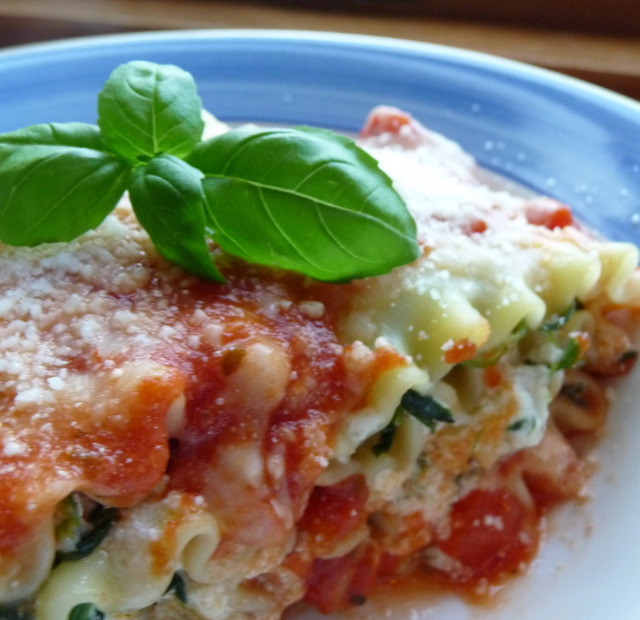 To serve, ladle a little sauce on the plate and top with lasagna roll. These pasta roll ups look awesome!